Billionaire industrialist and engineer Tony Stark jump-starts the Marvel Cinematic Universe when he creates his high-powered suit of armor and does away with all pretense of a secret identity. Agents of S.H.I.E.L.D. : Iron Man introduces Phil Coulson, an agent in the Strategic Homeland Intervention, Logistics and Enforcement Division, formally called S.H.I.E.L.D. at the film’s end. 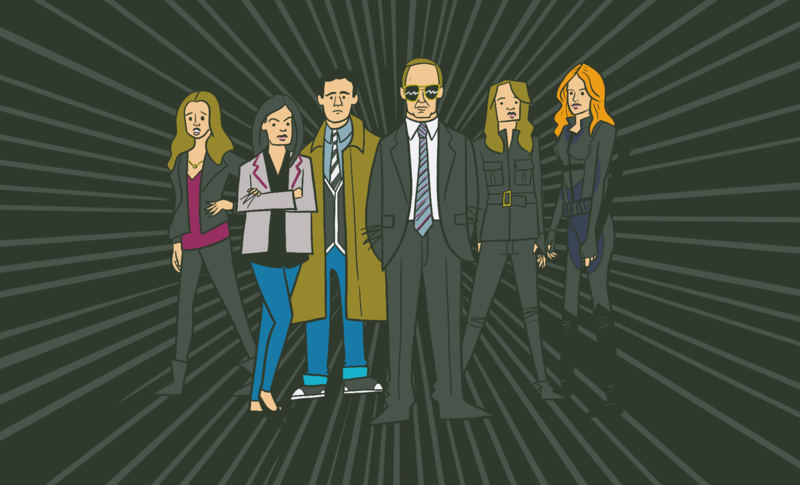 In the Marvel Cinematic Universe, Coulson acts as the main representative for the S.H.I.E.L.D. organization across different franchises. The Avengers: Iron Man’s post-credits clip introduces Nick Fury, the director of S.H.I.E.L.D., and the “Avengers Initiative,” a project he spearheads. Captain America: The First Avenger: Captain America’s unfinished shield appears on screen briefly in the background when Tony Stark is testing his Mark III suit. 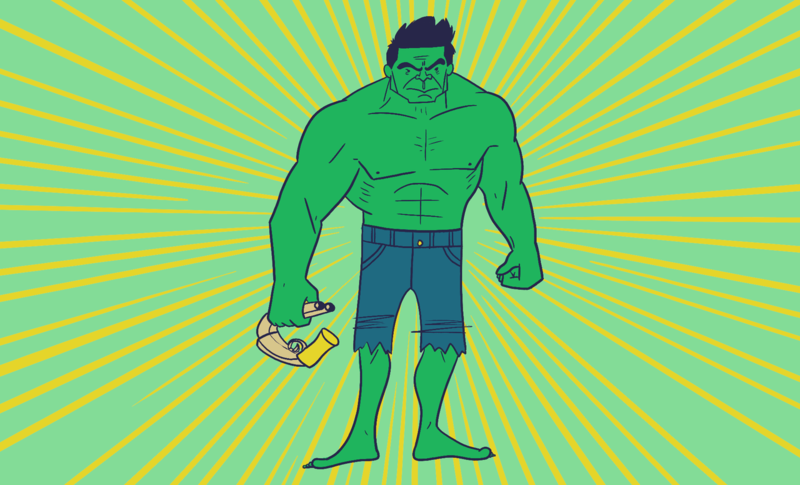 While attempting to recreate the super-soldier formula that birthed Captain America, Dr. Bruce Banner exposes himself to gamma radiation, causing him to transform into the Hulk whenever his heart rate rises. Iron Man/The Avengers: In the post credits-clip, Tony Stark appears in a bar talking to General Ross about “putting a team together,” which later becomes the Avengers. Captain America: The First Avenger: The Hulk was created in an attempt to reinstate the super-soldier program that gave Captain America his superpowers. Emil Blonsky undergoes a similar treatment as Steve Rogers, with less than perfect results, and becomes the villain known as the Abomination. Daredevil: Reporter Ben Urich, who uses Daredevil as a source for stories, covers Hulk and Abomination’s Harlem fight for the New York Bulletin. A clipping from the piece can be seen in his office in certain episodes of Daredevil. With the Hulk MIA, Tony Stark is still the only hero accounted for, as a new conflict arises with competing industrialist Justin Hammer, the villain Whiplash, and a fleet of armored drones. Battling them gives him the humility he’ll need to be a part of Nick Fury’s rumored team of Avengers. Agents of S.H.I.E.L.D. 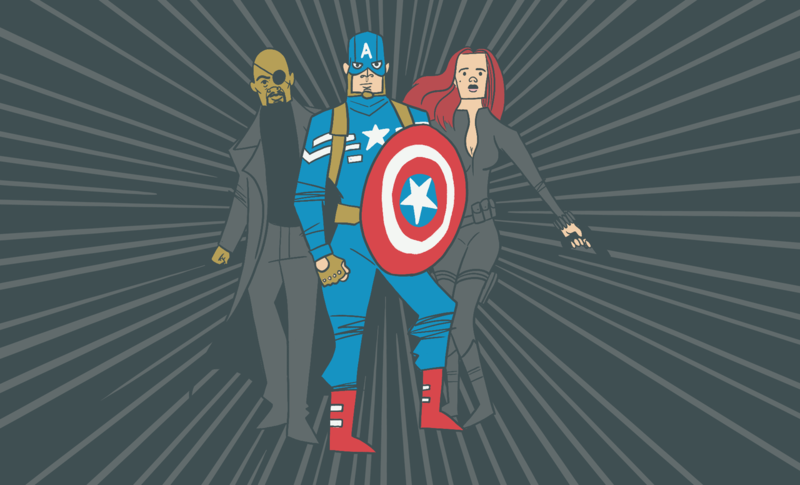 : Nick Fury, Phil Coulson, and S.H.I.E.L.D. 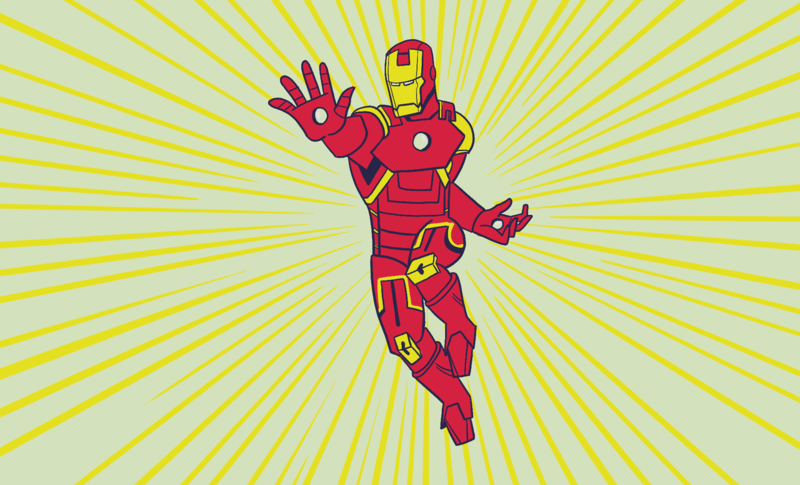 help Stark finish his armor and synthesize a new element in Iron Man 2. Additionally, S.H.I.E.L.D. becomes more established in the movie. Thor: Coulson leaves Malibu (the setting of Iron Man 2) to investigate Thor’s hammer, which has landed on Earth in New Mexico and is seen in the post-credits scene. The Avengers: Iron Man 2 introduces Natalie Rushman, an employee of Tony Stark who’s later revealed to be Natasha Romanov, the Black Widow. Captain America: The First Avenger/Agent Carter: Iron Man 2 introduces Howard Stark, Tony Stark’s father, who plays huge roles in both Captain America: The First Avenger and Agent Carter. Thor is the first film in the Marvel Cinematic Universe to go Full Magic, introducing the existence of other planets and alien beings. S.H.I.E.L.D.’s tinkering with the Tesseract for weaponry in The Avengers is a direct reaction to Loki’s unstoppable Destroyer in Thor. The Avengers: Thor introduces Hawkeye as a S.H.I.E.L.D. agent, as well as Thor’s brother, Loki, who becomes the primary villain in The Avengers. In the post-credits scene, Dr. Erik Selvig is shown the Tesseract, a powerful Asgardian object, and appears to be under the mental control of Loki. This scene predicts events in The Avengers. Agents of S.H.I.E.L.D. : Thor introduces Lady Sif, who guest stars on several episodes of Agents of S.H.I.E.L.D. In the post-credits, S.H.I.E.L.D. 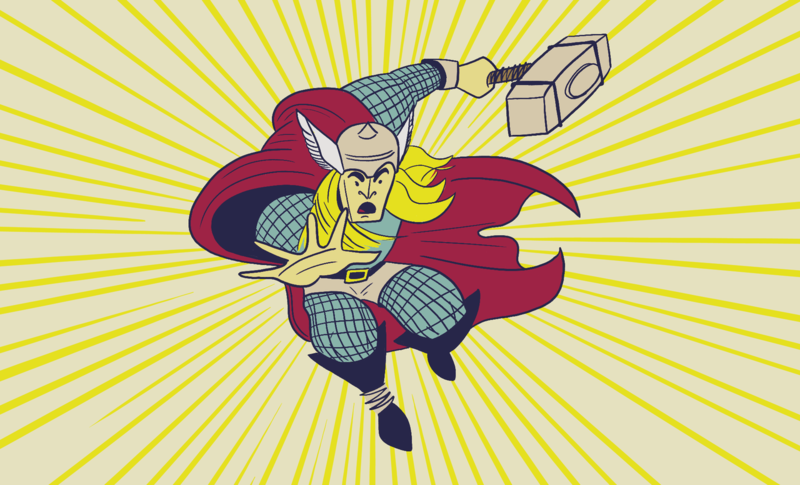 is shown to be in possession of the Tesseract. Steve Rogers becomes Captain America, and alongside Tony Stark’s father, Howard, battles Hydra, a terrorist organization that continues to plague the Avengers and S.H.I.E.L.D. in movies to come. The Avengers: The First Avenger brings Captain America from WWII to the present, enabling him to join the Avengers. Thor: The First Avenger introduces the Tesseract, an Asgardian object (and one of the Infinity Stones) that is rooted in Norse mythology and the realm of Asgard, Thor’s home. Agent Carter/Agents of S.H.I.E.L.D. : The First Avenger introduces Peggy Carter, the star of Agent Carter and a founding member of S.H.I.E.L.D., along with Howard Stark, who is a major character in both Agents of S.H.I.E.L.D. and Agent Carter. Additionally, the film introduces the terrorist group Hydra, a constant threat throughout the entire Marvel Cinematic Universe, and the Howling Commandos, a multicultural group of Captain America’s best soldiers that makes cameos in both Agents of S.H.I.E.L.D. and Agent Carter. Agent Tripp’s grandfather is said to be a member of the Howling Commandos, and he uses his grandfather’s old field kit—which likely included devices invented by Howard Stark—several times on Agents of S.H.I.E.L.D. Iron Man’s relationships with Black Widow, Nick Fury, and Phil Coulson, Cap’s revival from a WWII deep freeze, and Loki’s betrayal of Thor all come together to create a threat only the world’s greatest heroes can avenge. The climactic Battle of New York reveals the existence of aliens and superpowered beings to the public, and has lasting repercussions throughout every film and series that follows in the Marvel Cinematic Universe. Daredevil: As a result of the Battle of New York in The Avengers, Hell’s Kitchen has become riddled with street crime and illicit construction business deals to profit off of the reconstruction of Midtown New York. Wilson Fisk and Matt Murdock both dedicate themselves to saving Hell’s Kitchen in their own unique ways. 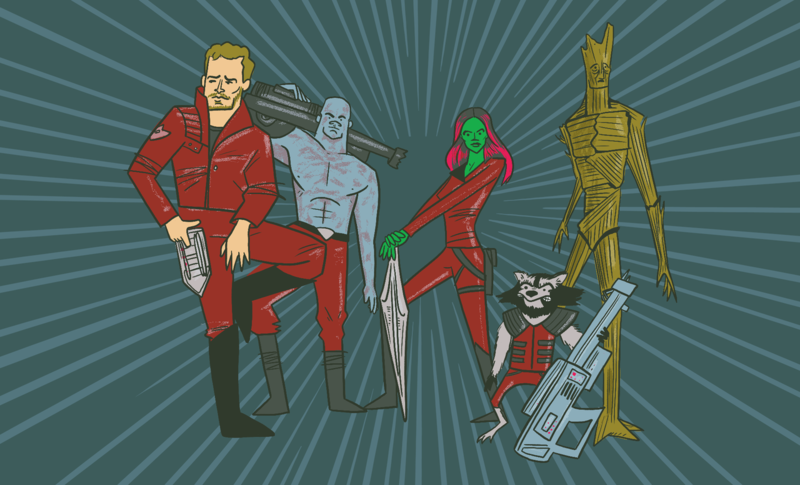 Guardians of the Galaxy: The post-credits scene introduces both Thanos and the Other. Thanos is the father of the green-skinned Guardian Gamora. The Other, Thanos’ right-hand man and leader of the Chitauri aliens that attack New York in The Avengers, is killed by Ronan the Accuser in Guardians of the Galaxy. The Other also supplies Loki with an Infinity Stone that allows him to control minds (which is seen in the post-credits scene of Captain America: The Winter Soldier). Iron Man 3: Tony Stark’s PTSD in Iron Man 3 is a direct result of the Battle of New York in The Avengers. Agents of S.H.I.E.L.D. : Phil Coulson is killed by Loki during The Avengers, and his resurrection is explained as a story arc in Agents of S.H.I.E.L.D. 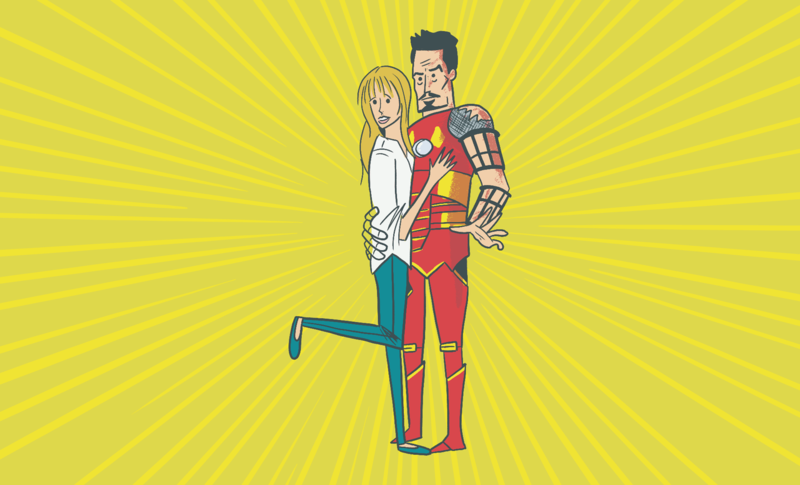 The first solo character film to follow The Avengers, Iron Man 3 finds Tony Stark back on his own and self-conscious about calling on his new superpowered friends for help. Both the government and the film’s villain, Aldridge Killian, mention the Battle of New York as influencing their agendas. Furthermore, Killian’s Extremis experiment factors into Agents of S.H.I.E.L.D.’s pilot episode. The Avengers: Bruce Banner appears in Iron Man 3’s comedic post-credits scene, where Tony Stark thanks him for listening to all his problems while Banner’s actually asleep. Avengers: Age of Ultron: Tony Stark’s artificially intelligent suits set the stage for the technology and robotics in Age of Ultron. Loki is imprisoned for crimes in The Avengers and the second Infinity Stone is introduced. Meanwhile, Thor’s (permanent) return to Earth sets the stage for his character arc in Age of Ultron. The Avengers: During The Dark World, Loki assumes Captain America’s form while speaking with Thor, a direct reference to the events in The Avengers. Guardians of the Galaxy: Thor characters Lady Sif and The Warriors Three give the Aether, an Asgardian object that is also an Infinity Stone, to the Collector, a character that reappears in Guardians of the Galaxy as someone who is collecting Infinity Stones. Agents of S.H.I.E.L.D: S.H.I.E.L.D. acts as a cleanup crew in the wake of The Dark World’s dimension-hopping climactic battle. 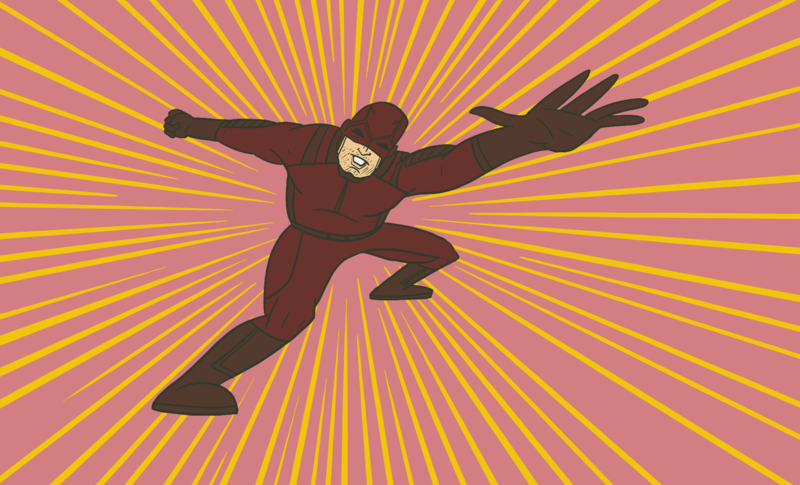 Late in the second season, the series introduces the concept of Terrigenesis, which gives the Inhumans their superpowers. It also directly links the Inhumans to the Kree alien species, establishing that Terrigenesis is a Kree creation that gave humans powers in order to turn them into living weapons. The Avengers: Phil Coulson is resurrected as the main protagonist in Agents of S.H.I.E.L.D. after representing the agency and dying in The Avengers. Additionally, Avengers characters Nick Fury and Maria Hill make cameos throughout the first and second season. 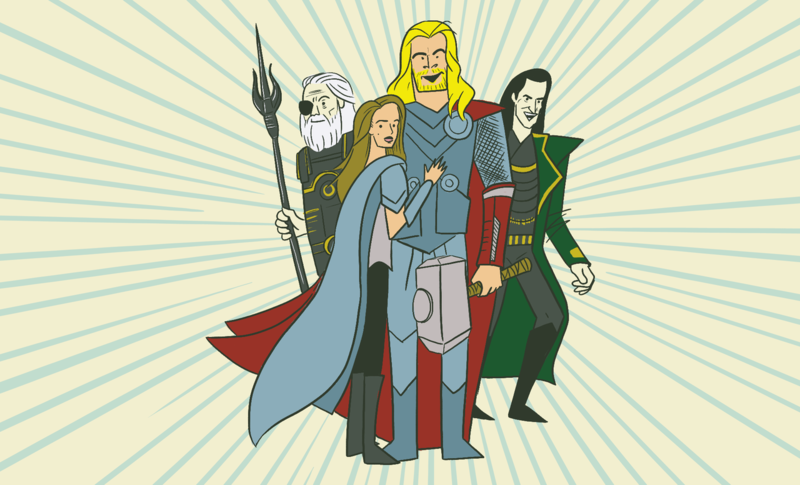 Thor: Lady Sif, Thor’s Asgardian compatriot, makes several cameos in S.H.I.E.L.D., and in one episode the agents must stop an Asgardian villain. There’s also an episode where an ancient Asgardian staff gives people super-strength. Avengers: Age of Ultron: Maria Hill, now in the employ of Tony Stark after the events of Captain America: The Winter Soldier, appears late in the season to ascertain the position of Baron Von Strucker from Phil Coulson's team of agents. She then relays this information to the Avengers, leading to the film's opening battle. Cap discovers that the terrorist group Hydra is alive and well in the present and heavily embedded within S.H.I.E.L.D. He battles them alongside Black Widow and Nick Fury. 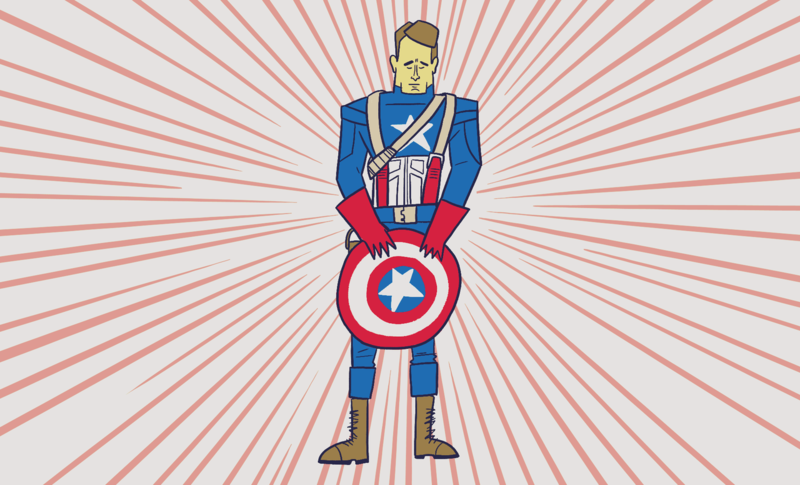 The Winter Soldier, Hydra’s secret weapon, is none other than Cap’s old friend Bucky Larson. Agents of S.H.I.E.L.D. : The destruction of S.H.I.E.L.D. in The Winter Soldier is played out again during the end of the show’s first season. 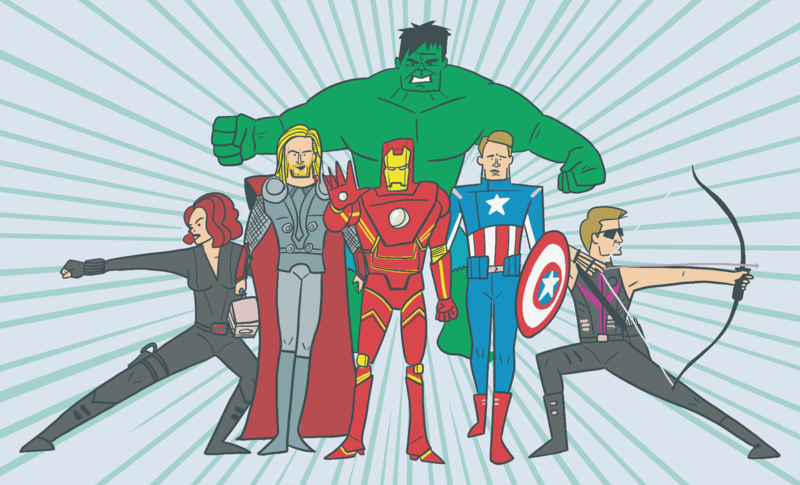 During the movie, S.H.I.E.L.D. is effectively dismantled, exposing Grant Ward as a sleeper Hydra agent and expanding on the ramifications of Hydra’s infiltration into S.H.I.E.L.D., a threat that’s further explored in Agents of S.H.I.E.L.D. In the show, Nick Fury makes Phil Coulson the new director of S.H.I.E.L.D. and entrusts him to rebuild the agency. Agent Carter: Peggy Carter appears in The Winter Soldier as an old woman. It’s also implied that Arnim Zola, a WWII-era villain from The First Avenger who cameos in Agent Carter, engineered Howard Stark’s death in an auto accident, which occurred before the events in Iron Man. Avengers: Age of Ultron: The Winter Soldier’s post-credits scene introduces Hydra member Baron Von Strucker as well as eventual new Avengers Quicksilver and the Scarlet Witch. As the only other film besides the Thor flicks far to expand the space and magical elements of the Marvel Cinematic Universe, Guardians offers the first full look at the villain Thanos, who orchestrated Loki’s attack in The Avengers and is searching for Infinity Stones, two of which have already appeared. Agents of S.H.I.E.L.D. : Guardians of the Galaxy introduces the Kree species, a blue-skinned race that has visited Earth in the past. A Kree body is used to help resurrect Phil Coulson in Agents S.H.I.E.L.D., which is carried out under Project T.A.H.I.T.I. Following the events of Captain America: First Avenger, but preceding everything else, Agent Carter involves Howard Stark and helps build the foundation for the organization that will become S.H.I.E.L.D. Agents of S.H.I.E.L.D. : Carter is a founding agent of S.H.I.E.L.D. Captain America: The First Avenger: Carter squares off against former members of the terrorist organization Hydra and teams up with Dum Dum Dugan, of the Howling Commandos. Both are major groups in Captain America: The First Avenger. In one episode of Agent Carter, Arnim Zola, a villain in The First Avenger appears imprisoned. Iron Man/Iron Man 2/The Avengers: Howard Stark, Tony Stark’s father, has a recurring role in Agent Carter, and his inventions are at the center of many of the series’ main events. In Agent Carter, it’s also established that the Black Widow is part of a Russian program that trains young girls to be exceptional spies and assassins, confirming that there’s more than Natasha Rumanov is not the only Black Widow. 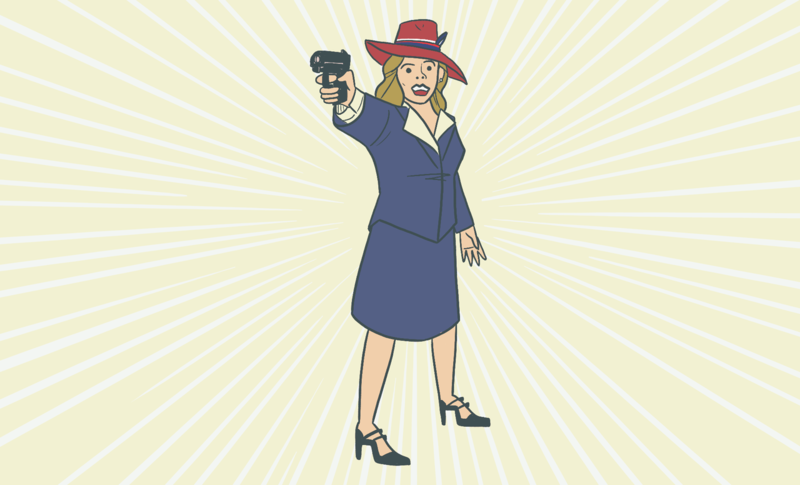 A ’50s-era Black Widow named Dottie is a villain on the first season of Agent Carter. Daredevil prowls the Hell's Kitchen area of New York, which was hit hard by the battle with Loki and the Chitauri in The Avengers and is being fed on by opportunistic, criminal developers. Agents of S.H.I.E.L.D. : Battlin’ Jack Murdock, Matt Murdock’s pugilist father, is killed for not throwing his fight against Carl “Crusher” Creel in Daredevil. Creel later gains superpowers and becomes the villain Absorbing Man, who appears in several Agents of S.H.I.E.L.D. episodes. The Avengers reassemble to take down Baron von Strucker, whose experiments on superpowered people give Tony Stark the very bad idea to create Ultron, a robot to do superheroic things, so the team members aren’t on the clock 24-7. Turns out Ultron is a homicidal maniac (oops) and the team will need help from characters across other franchises (paging War Machine and the Falcon) and new friends (enter Scarlet Witch, Quicksilver, and the Vision, who takes after Tony Stark’s A.I. 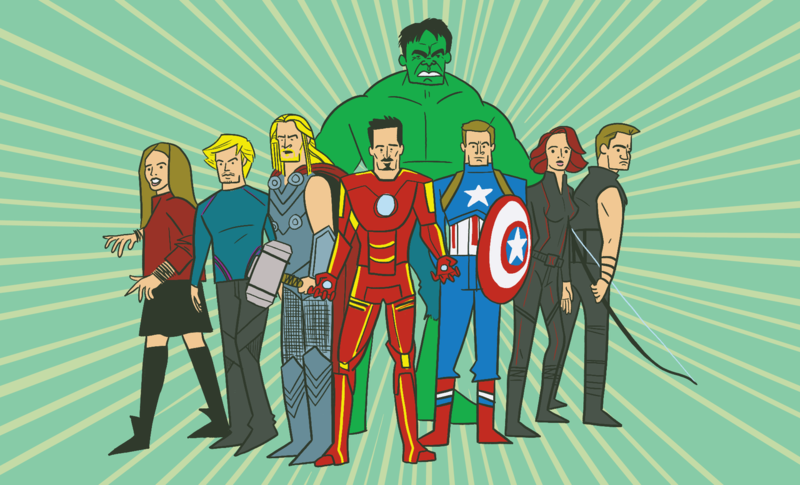 butler J.A.R.V.I.S.). Agents of S.H.I.E.L.D. : S.H.I.E.L.D.’s remnants are not completely out of commission, as Nick Fury and Maria Hill have enough manpower to staff a helicarrier. At the film’s end, a new Avengers facility seems to succeed the S.H.I.E.L.D. headquarters as the group’s main base of operations and organizational strength. Thor: Ragnarok (releasing Nov. 3, 2017): During his Scarlet Witch-induced nightmare, Thor sees a glimpse of Ragnarok, the Norse prophecy about the death of the gods. The Infinity Stones feature prominently in his vision. Jane Foster is mentioned as having become a prominent scientist in the wake of the events of Thor: The Dark World, and Dr. Erik Selvig once again makes an appearance to help Thor interpret the vision he saw while under the influence of Scarlet Witch’s reality-bending powers. Captain America: Civil War (releasing May 6, 2016): Sam Wilson, a.k.a. the Falcon, has a supporting role and becomes an Avenger at the film’s end. He also mentions the ongoing manhunt for Bucky Barnes, the Winter Soldier, and how his current leads have gone cold. James Rhodes, a.k.a. 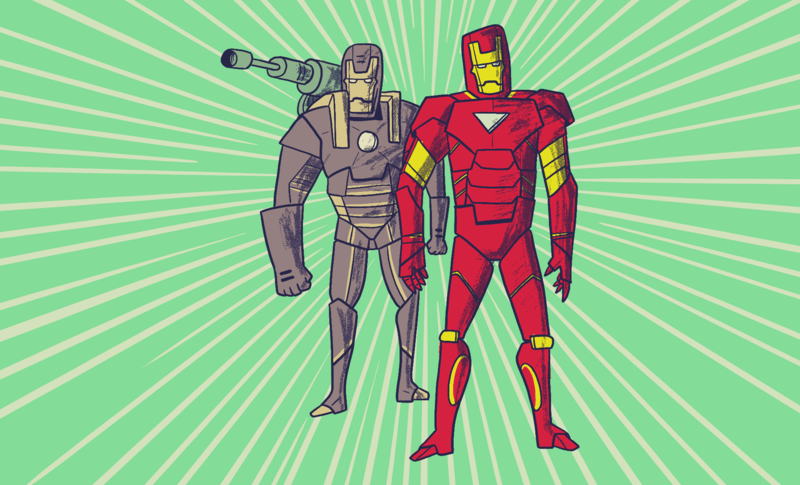 War Machine, is another supporting character who joins the Avengers. He will return in the upcoming Captain America film, as will Iron Man. The Iron Legion, a set of automated Iron Man suits, expands on the remote and drone technology from Iron Man 3. The A.I. conflict sets the stage for Captain America and Iron Man going head-to-head in Civil War. Agent Carter: The Black Widow’s Scarlet Witch-induced nightmare consists of the ballerina-themed Red Room training program shown in Agent Carter. Additionally, Peggy Carter makes an appearance in Captain America’s Scarlet Witch-induced nightmare. Guardians of the Galaxy 2 (releasing May 5, 2017): Thanos reappears in a post-credits scene to claim the Infinity Gauntlet, a glove that can harness the power of the Infinity Stones and grant its wearer omnipotence. Ant-Man will likely have ties to Avengers: Age of Ultron, specifically Stark Industries and the Ultron project. An aged Howard Stark (John Slattery reprising his role from Iron Man 2) is confirmed to appear in the film. In the comics, Hank Pym is the one who creates Ultron, so his ties to that film may be alluded to. 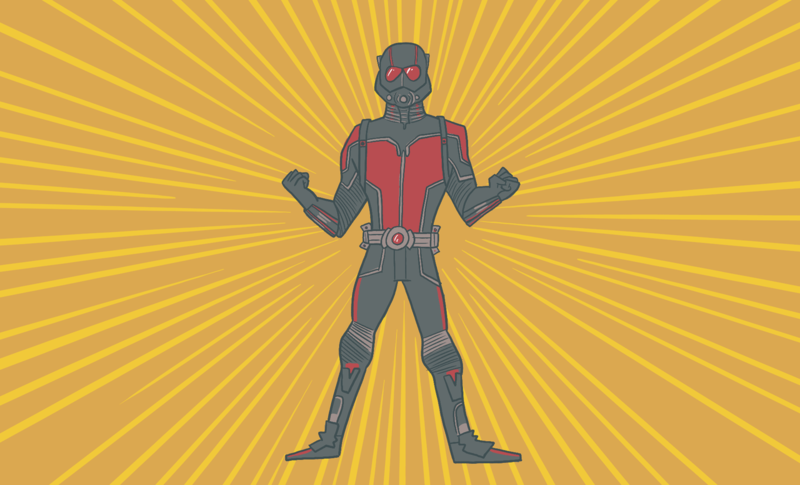 In what we know about the film so far, Pym creates the technology behind the Ant-Man suit and enlists Scott Lang (the current Ant-Man in the comics) to wear it on his behalf.